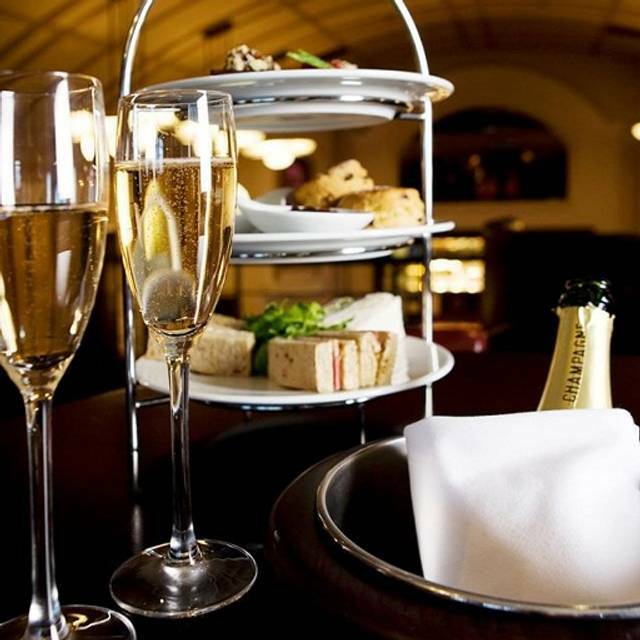 As Cheltenham’s most dramatic restaurant, The Daffodil with its Art Deco influence offers an extensive A La Carte menu which is seasonally changed, with an excellent choice of wines. 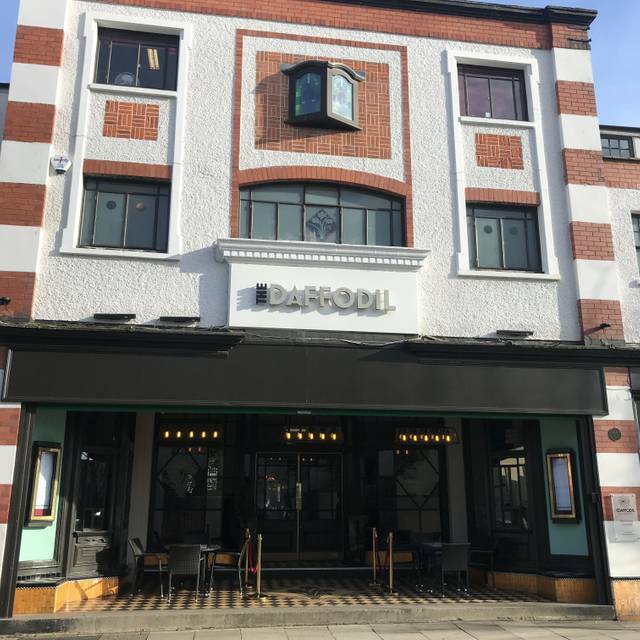 Independently owned The Daffodil with it’s award winning conversion from a 1920’s cinema into a restaurant never ceases to wow all who visit. So whether you are planning a romantic night, a corporate event, a party or a memorable wedding, The Daffodil offers an experience not to be missed! Free live Jazz every Monday night together with Martini Monday promotion in our mezzanine bar. Very nice restaurant, the staff are very attentive without being pushy and very nice not to feel rushed. Food as always very good. We only visit once a year on a special occasion and very much look forward to our visits. Bar staff inattentive, ages to get a cocktail, 15 minutes late to table as restaurant staff unable to locate us(! ), once shown to table, it was not properly dressed for dinner, further delaying our meal. Scallop starters were lukewarm and tasteless, the lamb mains were extremely fatty with little meat. Table service very poor, table not properly cleared after courses, sides not served at same time as mains. A classic case of a pretentious eaterie resting on its’ laurels. Once an enjoyable and fun experience, sadly no longer the case. Excellent food. Good cocktails beforehand in the upstairs bar. Service not up to scratch though. As a group of 4 ladies visiting for a social night expecting great food we were not in the slightest bit disappointed!! Great food and service.Theatre menu wonderful value.Live music far too loud and therefore intrusive. Excellent Sunday lunch, we were a group of 8 which didn't poise a problem to our excellent waiter. Our food arrived fresh and hot, and our glasses were kept topped up. We all had a very enjoyable lunch. Beautiful room, helpful, friendly, knowledgeable staff, excellent food. Couldn't have wished for more. Lovely live jazz and blues music. Great ambiance. Staff were friendly and attentive. Had the chateaubriand for two and it was the best steak we've ever had. Five star experience. I haven't answered the question as to whether I would recommend this restaurant as I'm not sure I would - the service was very poor. We were taken to our table straightaway but it was a good 10 minutes before we could attract anyones attention to take a drinks order. The food was mixed - two of the four of us enjoyed their meal, two didn't - very tough spatchcock pouissin! As to the 'value' question - the prices are ok, IF the food is prepared well! 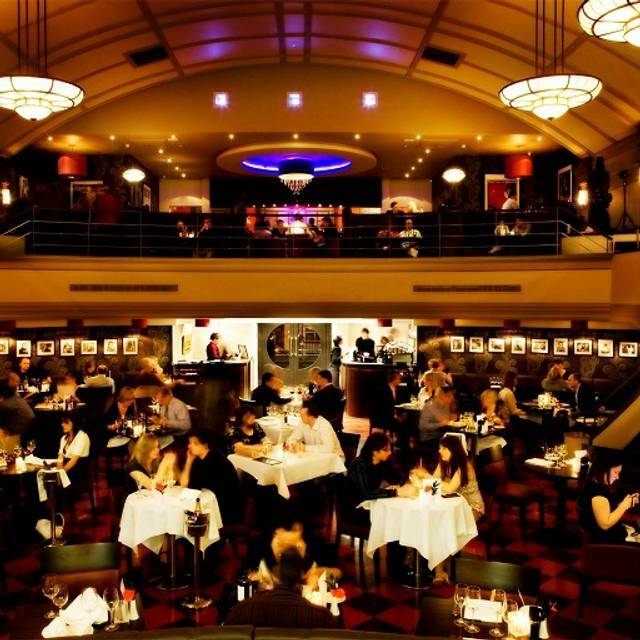 It is a very glamourous venue and lovely for a special occasion if you like buzzy places with reasonably loud music playing, but they definitely need to sort out the service. Perhaps we were just there on a bad night! I can't think of a bad thing to say. I had the soup and salmon and my husband had the scallop and lamb. Even the veg accompanying the meal was a culinary treat. We would of had dessert, but I indulged in a French martini that was sweet and perfectly made. Our waitress Amy couldn't do enough, very accommodating, laughed and joked with us, making our dining experience the relaxed occasion we were looking for. Very good food very attentive staff couldn’t fault anything. We had a lovely dining experience and will happily visit again. Thank you. We had lunch at The Daffodil & as before we had a first class meal with the bonus of an excellent jazz band playing. The Daffodil has excellent staff, an excellent menu which we all enjoyed & really good value for money. We all agreed we can't wait to visit again. Absolutely outstanding food and outstanding service. This is one of the best restaurants in Cheltenham if not the best. Everything from staff on reception right through to bar staff and table service. The staff are a credit themselves and the food produced is amazing. Really cannot recommend this fine dining restaurant enough. Great atmosphere, friendly service and good value for money. Excellent service with just the right amount of courtesy and friendliness. Excellent value as it was steak night and they were cooked to near perfection. Ambience was just about right with background music set at right level. We heard good things about the Daffodil before we visited and, all-in-all, we would definitely visit again and recommend. The ambiance was stellar - and the band was phenomenal. The second time we have been in the last few months and the staff were very friendly and helpful and made it a very enjoyable experience! Excellant food too! went for a Sunday lunch with 2 kids (10 and 14) and found that it was an all you can drink "bottomless prosecco" type Sunday deal. Clearly not a great combo with kids so the prices had this baked in making the meal super expensive. 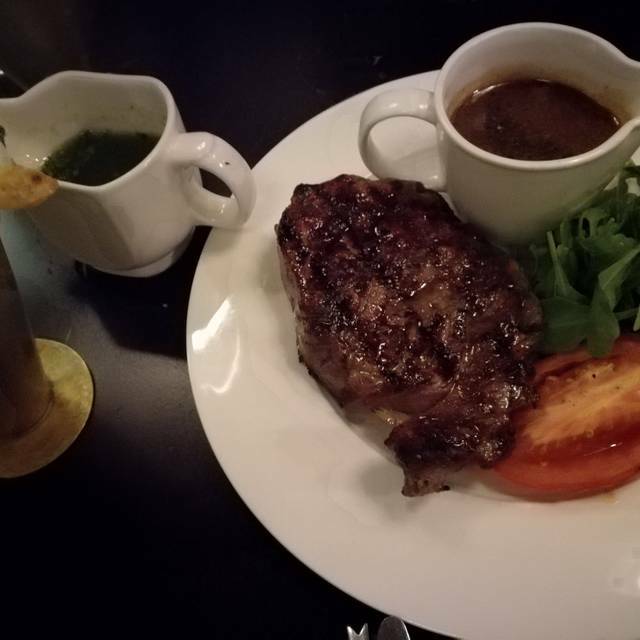 anyway, regardless of that (which was partly my fault for not checking when booking) the rare steak turned up on far side of well done, veg was boiled to death and nothing food-wise was really done that well. Service was really good from a nice bunch of Saturday waiters doing their best. The large old cinema room was semi filled with a mix of old couples and armies of couples with babies in high chairs. An odd 2 course lunch came out to est. £110 for x1 adult and 2 kids. Not going back which is a shame as the room could be wonderful being a grand old cinema.. Wonderful place...great food great service in a unique venue. Not a great deal of vegetarian options , but what they do have is delicious 😊. Too full for pudding , but a marvelous choice on offer...I intend to try next time ! 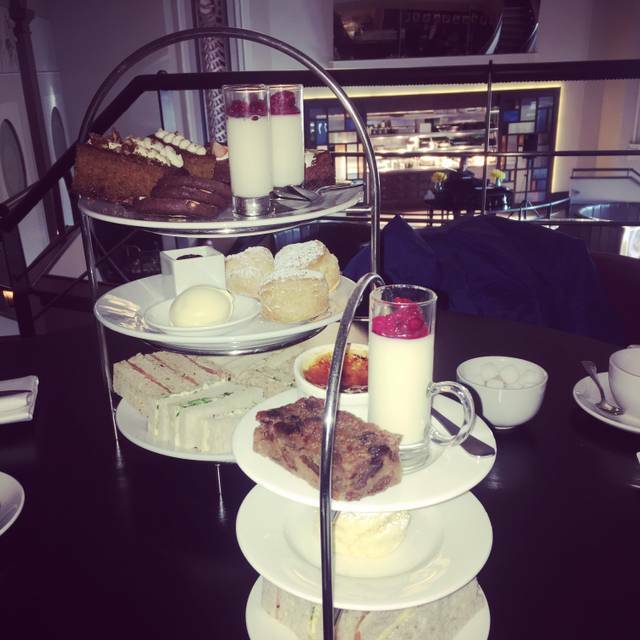 Our afternoon tea was excellent. The food and service was first class. Our only problem was the noise level. 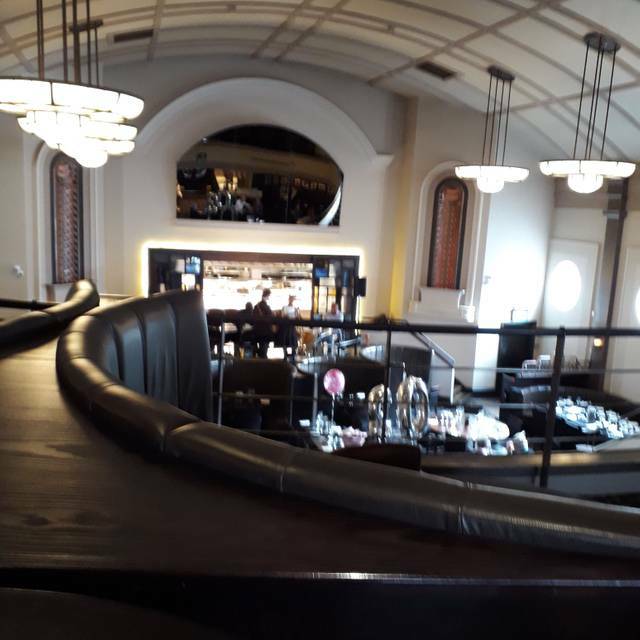 The restaurant was full with parties who were of course enjoying themselves, however on top of this was more decibels from the pianist, who was very good, but could not be appreciated through all the noise of people talking and laughing. I thought on this occasion the piano just added to the overall noise level which made it quite difficult to hold a conversation. Booked for a birthday lunch for 10 people. The Art Deco surroundings were stunning. Descending down the spiral staircases from the upstairs bar to the restaurant made me feel like a celebrity, just for a moment. The waiter was patient, knowledgable and just the right amount of attentive. The soufflé starter was divine and the cod was cooked perfectly. The afternoon tea loooked pretty good from afar as well! A truly wonderful dining experience that our whole group enjoyed. So much so, my father is considering booking it for his 80th birthday lunch. The restaurant was noisy, perhaps better for groups than intimate, quiet dinners for two. Have no hesitation in recommending. Just looking for an excuse to go again. Thank you to all at the Daffodil. Excellent dining experience and suitable for business meals, special occasions, birthdays etc. The building is an Art Deco cinema and has an excellent ambiance. They have a good wine list and excellent menu options. Would thoroughly recommend this restaurant. The food and service were excellent but why can't the presentation of the final bill be clear and simple! Best birthday meal I’ve had for a long time, early theatre menu was excellent so was the waitress at our booth.. can’t wait to go back on a jazz night. First time back to the Daffodil (for food) for some time, in fact since the change of ownership, but oddly a very similar experience to what is always was, good but not as good as you'd have hoped! The service was initially very rushed - we were having our order taken at the table before the time of the booking, we would have liked a drink in the bar first! By the end of the meal the service had become really slow! The food was generally good, apart from the very over cooked chips! The steak was fantastic. Sharpen up the service and get rid of the horrible skin on chips and it would go from good to great! The setting of the Daffodil is interesting and offers a pleasant venue for a special dinner or meal. The staff are very helpful and friendly with just the right amount of attention. The food is good and is not pretentious. 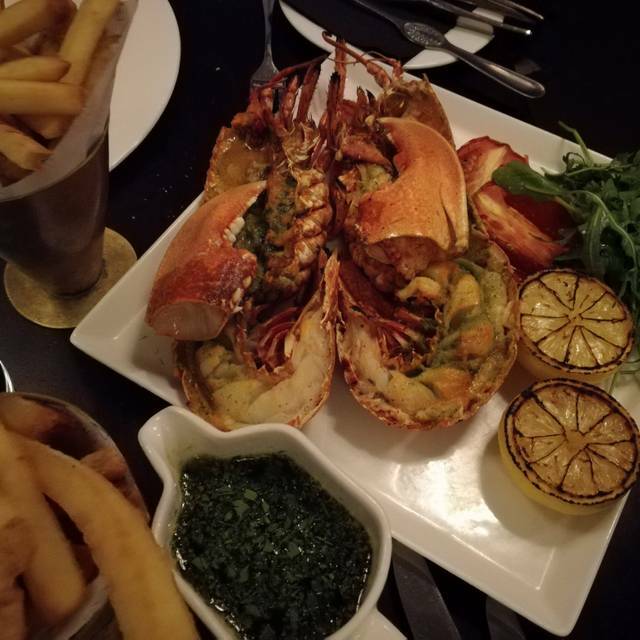 We had a thoroughly entertaining evening and would recomment the restaurant to anybody looking for good value for money but with an added twist for that special occasion. 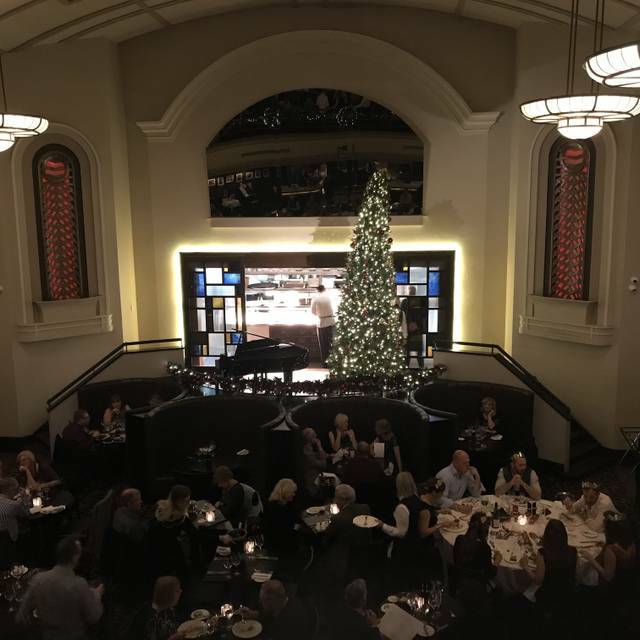 Wonderful decor and live piano music. Friendly and attentive staff who went the extra mile. Highly recommended! The dishes and ambient was pretty good. 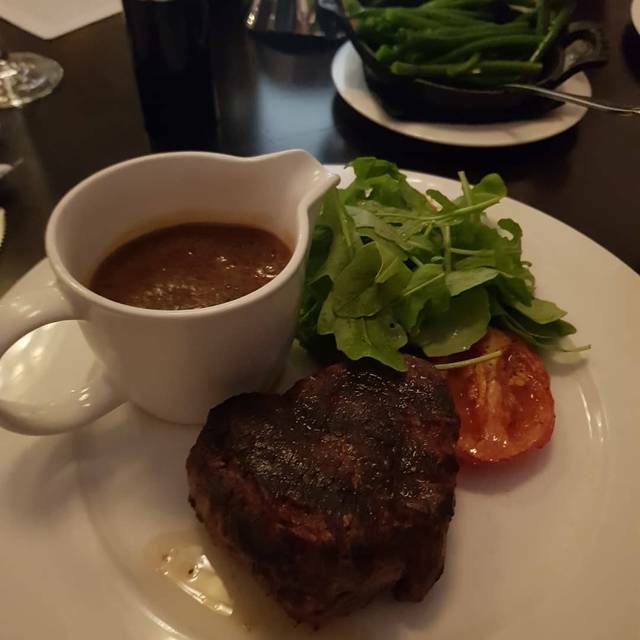 The Daffodil never fails to disappoint... and this time not only were the steaks lovely, but the level of service from all the staff were fantastic. One of my party asked for the steak to be cooked a little longer and it was no hassle, immediately dealt with and returned cooked as my party wanted it.... but it was also the attention to detail, such as making sure the chips were replaced and brought out along with the steak fresh and piping hot... the good humour, patience and advice offered by Orlando our waiter. All in all a lovely night and a wonderful treat for all. Thank you to all the staff for making us feel very special and for a lovely meal! Can't wait to come back and have another dinner there! This was my first visit and the menu choice, quality of food and incredible friendly service were fantastic. I am not local but can’t wait to return. Great food and wine in a beautiful building. Really enjoyed it. Good Sunday lunch, had duck to start, not overly impressed, Sunday lunch (main) was good for a roast out (more of a stay in roast family due to not wanting to pay for what you could cook better at home). Plates ere not warmed which ment despite gravy food went cold, quick! Good disappointing I had cod which lacked flavour, veg over cooked too. Daffodil came as a recomendation from the B&B we stayed at that night and didn't dissapoint at all. On arriving early we were sent to the bar area for our first drink and then met by our hostess who showed us to our table when the time came. Loved seeing all the waiting staff dressed in black and white in the theatre environment. Our waitress greeted us and explained the menu and also recommended certain dishes to us, she was very attentive, pooring our wine when running low and making sure we were both ok with our meals at intervals but left us too it. We had two choices of menu's both at agreeable prices. We didnt feel rushed and when our meal was finished we were able to sit and take it all in. Great place and will definitely be returning very soon.